N ext to the Kingsley Dam and Lake McConaughy, Lake Ogallala is a smaller lake well-known for fishing, particularly for the rainbow trout. It covers 320 acres of protected shoreline rather than beaches and is a great spot for visitors to camp and enjoy the wildlife. Lake Ogallala is a quality fishery, stocked with species most popular with anglers. In addition to rainbow trout, there are yellow perch, channel catfish, and a few largemouth bass. There is a fish cleaning station and a wheelchair-accessible fishing dock. 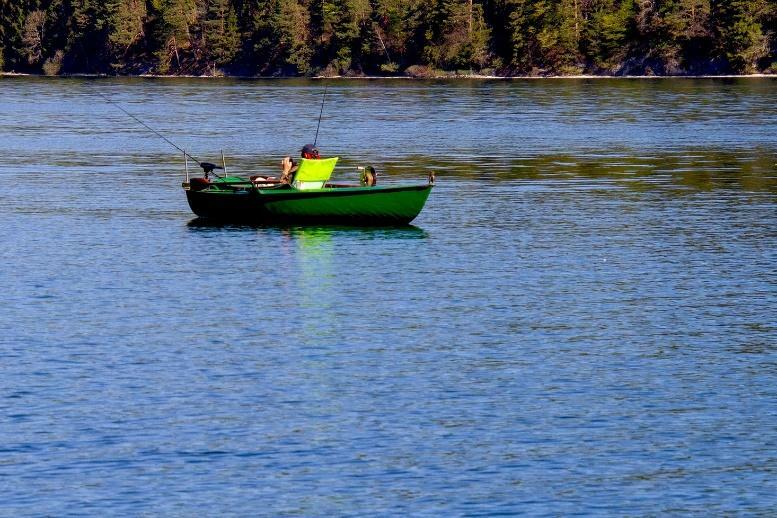 An online interactive public fishing areas map gives detailed information on regulations, public boat ramps, fish cleaning stations and docks. All boats are permitted, but Lake Ogallala has a no-wake policy. Non-motorized boats are very popular because Kingsley Dam offers protection from the wind. The Lake McConaughy Visitor Center has aquariums, a theater, and interactive displays with information about the Platte River and High Plains Aquifer. It is open Memorial Day through Labor Day. A Hike-Bike Trail is 2 miles long and located on the east side of Lake Ogallala inside the Modern Campground offering 82 camping pads with electrical hookups. It runs the length of the northern dike and ends at the Nebraska Public Power District’s Diversion Dam. There is a Primitive Campground is on the west side of Lake Ogallala with water and primitive restrooms. Should Lake Ogallala seem too quiet, Lake McConaughy has outstanding boating, fishing, swimming, and camping, as well as beaches. You can pitch a tent right on the water’s edge on 100 miles of shoreline over more than 40,000 acres. Fish species include walleye, channel catfish, Northern pike, wiper and white bass. Take your boat with you or rent one there!